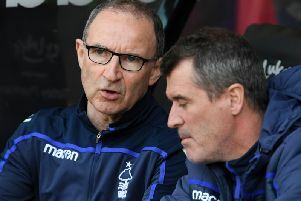 Martin O'Neill has officially been confirmed as the new Nottingham Forest manager. Nottingham Forest have officially confirmed the appointment of Martin O’Neill as the club’s new manager. O’Neill played 371 times for Forest over a 10 year spell as the club went on to win a First Division title, two European Cups and two League Cups. And he has been no less successful during his managerial career after making his name at Wycombe Wanderers. O’Neill led Celtic to the UEFA Cup final, before having spells at Aston Villa and Sunderland before taking up the international challenge with Republic of Ireland, who he led to Euro 2016.